“What can stop the determined heart and resolved will of man? January 1st marked the 200th publication anniversary of Frankenstein;or, The Modern Prometheus, Mary Shelley’s gothic novel that was released anonymously when she was only 20 years old. It has never been out of print in the two centuries since. The result of a “ghost story” writing competition between Shelley, her husband Percy Bysshe Shelley, and Lord Byron, Frankenstein has maintained an enduring cultural relevance since its publication - - not only is it a formative work of gothic horror (predating Bram Stoker’s Dracula by nearly 80 years), it’s also widely regarded as one of the earliest works of science fiction. Frankenstein has inspired many retellings and adaptations on page, stage, and screen, with the first adaptation, the play Presumption; or, the Fate of Frankenstein, debuting only five years after the novel’s publication. Shelley herself managed to catch a performance, which is impressive considering that this was one of only two stage adaptations that occurred during her lifetime - - and it ran for just 37 performances. Published a mere day after the bicentenary, the thought-provoking anthology Frankenstein: How a Monster Became an Icon features essays written by artists, scientists, scholars, and filmmakers, including Mel Brooks (writer and director of Young Frankenstein) and John Logan (creator of TV’s Penny Dreadful, which features my personal favorite iteration of Frankenstein and his monster). 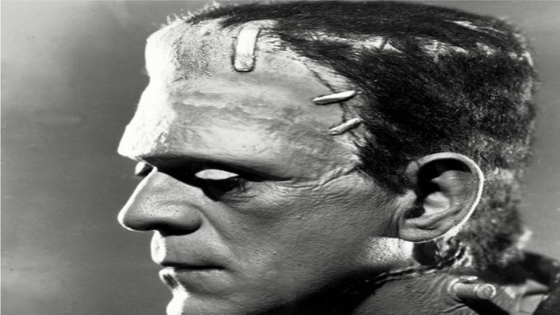 February saw the publication of Kathryn Harkup’s entertaining Making the Monster: The Science Behind Mary Shelley’s Frankenstein, which examines how the scientific developments of the early 19th century informed Shelley’s writing. In June, a resonant biography by Fiona Sampson, In Search of Mary Shelley, was published to much acclaim, receiving starred reviews from Booklist and Library Journal. On the fiction front, Ahmed Saadawi’s powerful Iraq War allegory Frankenstein in Baghdad finally hit stateside this January (it was published in its native Iraq in 2014) and subsequently earned a spot on the Man Booker International Prize shortlist. February’s Pride and Prometheus, a broody mashup between Pride and Prejudice and Frankenstein, fuses elements of both classics in telling the story of Victor Frankenstein’s fraught relationship with Mary Bennet (aka the spinster Bennet sister). The supernatural anthology Mary Shelley Horror Stories publishes in December. Check out our Book Discussion Guide for Frankenstein (type UI 410470 into the search box and hit enter to be taken directly there). Looking for an updated take on the “Playing God” parable? Try our guide to 2008’s award-winning retelling The Casebook of Victor Frankenstein (UI 435016). Need a genre refresher? We’ve got you covered with Getting Up to Speed in Gothic Fiction (UI 443700). Wondering what UI codes are used for? Unique Identifiers are assigned to everything in NoveList, including books, lists, and articles. Instead of searching, these codes will take you right to what you’re looking for. *Make your perfect search come to life by stitching together (sorry, couldn’t resist) some of your favorite appeal elements by using field code searching. Love the Frankenstein template in this blog post? 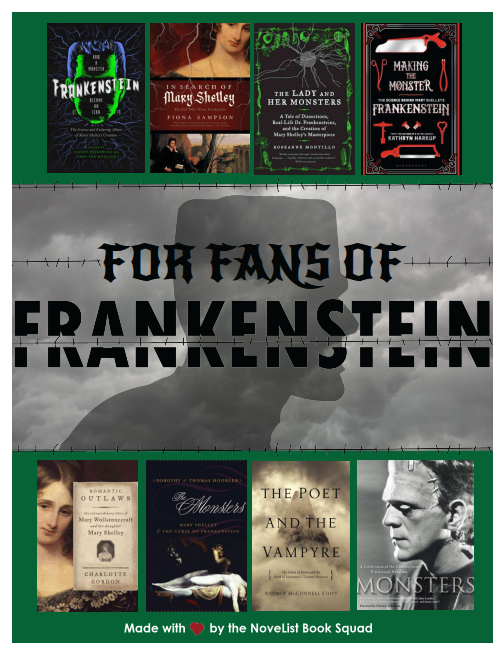 For our LibraryAware customers, we have more Frankenstein-inspired templates you can use to get your patrons excited about your events. Not a LibraryAware customer? Learn how to make your own templates with a demo of LibraryAware. And remember, bicentennials happen only once, but classics are forever. These readers’ advisory tips will remain evergreen, even though Frankenstein’s monster isn’t (his skin is actually yellow)! 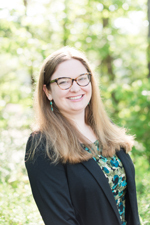 Kaitlin Conner is a Readers’ Advisory Librarian at NoveList and a member of the NoveList Book Squad.